The Herron station of the East Busway, the stop that serves Polish Hill, is among those that will be closed this weekend for construction work on the S. Highland Avenue Bridge and East Liberty Transit Center projects, as well as repairs to the busway’s Neville Ramp. The closure will begin Saturday, April 13 at midnight and is expected to end early Monday morning before start of service. The P1 East Busway-All Stops bus route will be detoured from Downtown through East Liberty during this time. The P1 will not serve Penn, Herron, Negley and East Liberty stations during the closure, and will instead use Bigelow Boulevard, Baum Boulevard and Penn Avenue between Downtown and the busway ramp at Port Authority’s East Liberty bus garage. Temporary stops will be located on local streets near the stations: Bigelow at Herron, Baum at Roup/Negley and Penn near the East Liberty Target. Additionally, the P1’s Downtown stops will change slightly during the detour. P1 riders should allow for extra travel time during the detour. For complete detour information, visit portauthority.org or call Customer Service at 412-442-2000 or for TTY, 412-231-7007. Port Authority’s bus, T and incline service will operate on holiday schedules for Thanksgiving this Thursday, November 22. Port Authority’s Customer Service phone line (412-442-2000; TTY: 412-231-7007) will have special holiday hours, 8 a.m. to 4:30 p.m., and the Downtown Service Center will be closed on Thanksgiving. Service will operate on regular weekday schedules on Friday, November 23. Riders traveling over the holiday weekend should be advised of two major detours. On Thanksgiving morning, buses will be detoured in Downtown Pittsburgh and the North Shore due to the annual Turkey Trot race. Then on Saturday, November 24, buses will be detoured due to the My Macy’s Holiday Parade in Downtown. Details on those detours will be posted this week at www.portauthority.org. Port Authority’s bus, T and incline service will operate on holiday schedules on Wednesday, July 4th. For bus routes, holiday schedules are included in print/online schedules. If a bus route does not operate on Sundays, it does not operate on major holidays such as Independence Day. T routes will follow special holiday schedules this July 4th, including service on Blue Line-South Hills Village. Special pink and blue service brochures are available at major schedule rack locations and schedules are also posted at www.portauthority.org. The Customer Service phone line will hold holiday hours, 8:00 a.m. to 4:30 p.m., and the Downtown Service Center will be closed Wednesday in observance of the holiday. For more details, visit www.portauthority.org or call Customer Service at (412) 442-2000 or for TTY, (412) 231-7007. 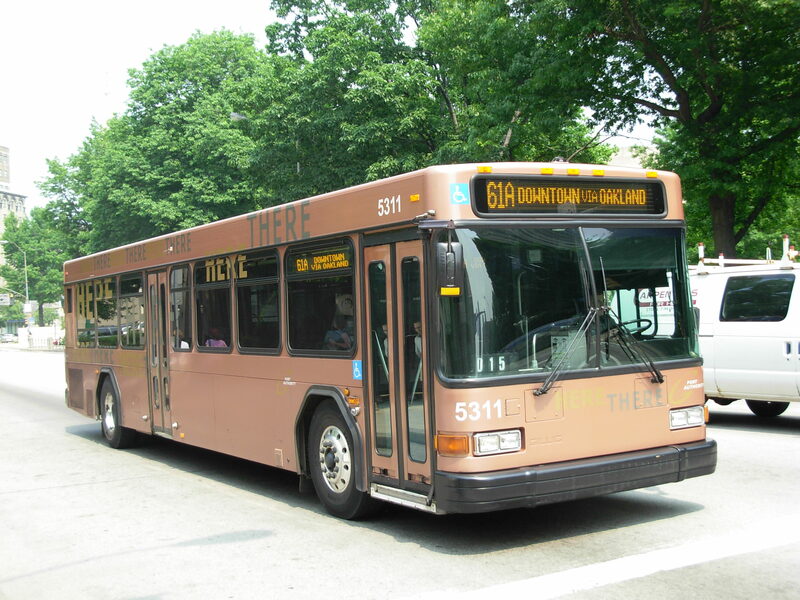 To address a loss in state funding, Port Authority is reducing service by 15 percent effective March 27, 2011. Twenty-nine routes will be eliminated and weekday service will be significantly reduced on 37 additional routes. Along with the reduction in service, the Authority will close its Harmar bus division and eliminate about 270 agency jobs, including 180 through layoffs. For those of you in Polish Hill that use the 54, the news is not quite so gloomy. Due to feedback provided by transit patrons, PAT has actually increased service to Polish Hill. The decision to alternate stops in Polish Hill and Penn and Main was made some time ago, and remains in place for this transit cut. In comparing the current schedule to the schedule that will be in effect starting Sunday, Staffski notes that the Polish Hill route is consistently every other trip, where previously the 54 had been scheduled to stop in Polish Hill every 3rd during non-peak hours. Throughout the week, the bus will run earlier and later. The frequency is slightly better than it was previously, with the biggest difference in the extended trips at the beginning and end of the day. Saturday and Sunday service begins later, but runs later on both days. The frequency is about the same as the current schedule for both days. Please feel free to look into the details. The new schedule is posted on the PAT site and, of course, we have hand copies for the 54 (as well as some other nearby routes) at the PHCA office. However, if you are transferring to another line, you will need to check the schedules to see how the service cuts will impact your trip. A full listing of discontinued lines and revised schedules is available on the PAT site. In other PAT news, it seems that the farebox glitch has been addressed. When the new fareboxes were first installed, their sensors were set at such a delicate level that they would only accept the most pristine currency without jamming. I’m sure this frustrated PAT more than it did their patrons, since fares were waived when the fareboxes malfunctioned. The sensors have been fixed and PAT is moving ahead with installing the new fareboxes on all routes, with the eventual introduction of the smart card. The Pittsburgh Post Gazette reports that the new smart cards will be available in the beginning of July 2011. This morning, Gov. Ed Rendell detailed a proposal to local leaders that would provide $45 million in funding to help sustain public transportation service in Allegheny County. The plan would have to be approved by the Southwestern Pennsylvania Commission (SPC), which is a regional planning agency that directs the use of transportation funds in the region. The $45 million would come from unused economic development funds and not from other transportation projects. PAT will examine the proposal in the coming weeks and determine how it might impact fares and service. The issue of public transportation impacts us in Polish Hill dramatically. BLOGSKI will continue to bring you information about developments in this issue. Port Authority of Allegheny County bus and T routes will operate on holiday schedules on Monday, Sept. 6, 2010, which is Labor Day. Customer Service will be available from 8 a.m. to 4:30 p.m. on Saturday, Sunday and Monday. The Downtown Service Center will be closed on Monday. The annual Labor Day Parade temporarily will detour multiple routes in Downtown on Monday from about 10 a.m. to 1 p.m. Streets and intersections in the parade area will be blocked to all traffic, including buses. More information about individual bus and T routes is available online at PortAuthority or by calling Customer Service at 412-442-2000, or TTY: 412-231-7007. Print brochures also have been published and are available at schedule racks. And a reminder–on September 5, 75 a new round of changes will affect 75 bus routes. The 54C is not affected; more information is available here. Port Authority of Allegheny County will hold a public hearing on proposed fare and service actions this Thursday, August 19, from 8 am to 8 pm at the David L. Lawrence Convention Center in Downtown Pittsburgh. The proposed changes are intended to balance the Authority’s FY2011 budget, which was adopted in June with a $47.1 million revenue shortfall. Port Authority is one of many transit agencies throughout Pennsylvania facing a funding crisis due to the federal government’s decision not to approve tolling on Interstate 80. The fare changes would increase base fares across the board and introduce premium pricing for light rail service and 13 express bus routes. 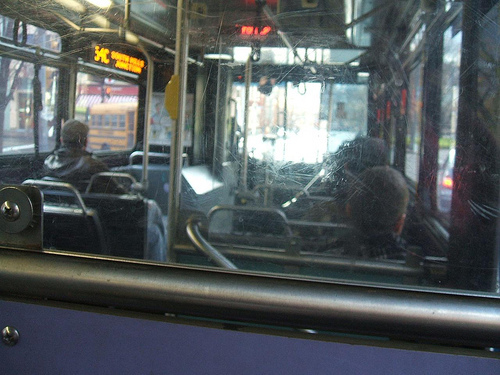 Service hours would be reduced by 35 percent, cutting the number of routes from 129 to 85. About 90 neighborhoods throughout Port Authority’s coverage area would be left without any public transit service or see significant service loss. Fare changes are scheduled to be implemented on Saturday, January 1, 2011. Service changes are scheduled for Sunday, January 9, 2011. The proposals could be discontinued or rescinded if the funding crisis is resolved. Individuals wishing to testify at the hearing are encouraged to pre-register by calling 412-566-5437 (TTY 412-231-7007) from 9 am to 3:30 pm on weekdays. Oral testimony will be limited to three minutes per speaker. Those who have not pre-registered may register at the hearing and will be called on as time slots become available. Port Authority will provide a sign language interpreter at the hearing as well as Braille copies of informational documents. A public comment period is ongoing, and comments may also be submitted online at www.portauthority.org or by mail at Port Authority Fare & Service Proposals, Heinz 57 Center, 345 Sixth Avenue, Floor 3, Pittsburgh PA, 15222. The comment period began July 28 and the deadline for comments is Tuesday, August 31, 2010 at 4 pm. For more information, including details on transportation to the hearing, call Customer Service at 412-442-2000 (TTY 412-231-7007) or visit portauthority.org. To request printed information only, call 412-566-5543. Port Authority of Allegheny County will hold a public hearing and public comment period on proposed fare and service changes. Fare changes are scheduled to be implemented on Saturday, January 1, 2011. Service changes are scheduled for Sunday, January 9, 2011. The public hearing will be held Thursday, August 19, 2010 from 8 am to 8 pm at the David L. Lawrence Convention Center in Downtown Pittsburgh. Individuals wishing to testify are encouraged to pre-register by calling 412.566.5437 (TTY 412-231-7007) from 9 am to 3:30 pm on weekdays. Oral testimony will be limited to three minutes per speaker. Those who have not pre-registered may register at the hearing and will be called on as time slots become available. Port Authority will provide a sign language interpreter at the hearing as well as Braille copies of informational documents. Comments may also be submitted online via portauthority.org. The deadline for receipt of public comments is Tuesday, August 31, 2010 at 4 pm. For more information, including details on transportation to the hearing, call Customer Service at 412.442.2000 (TTY 412.231.7007) or visit portauthority.org. To request printed information only, call 412.566.5543. A list of affected neighborhoods and a FAQ’s list from Port Authority are available in pdf format. Port Authority of Allegheny County will close the Martin Luther King Jr. East Busway between Penn Station and Grant Street starting Monday, July 12, for approximately two-and-a-half months. The closure will begin at 9 a.m. Monday so that contractors may begin repaving nearly seven miles of the busway. Penn Station will be closed during this work and riders who normally use the station’s A, B or C stops will have to use other Downtown stops served by their route. 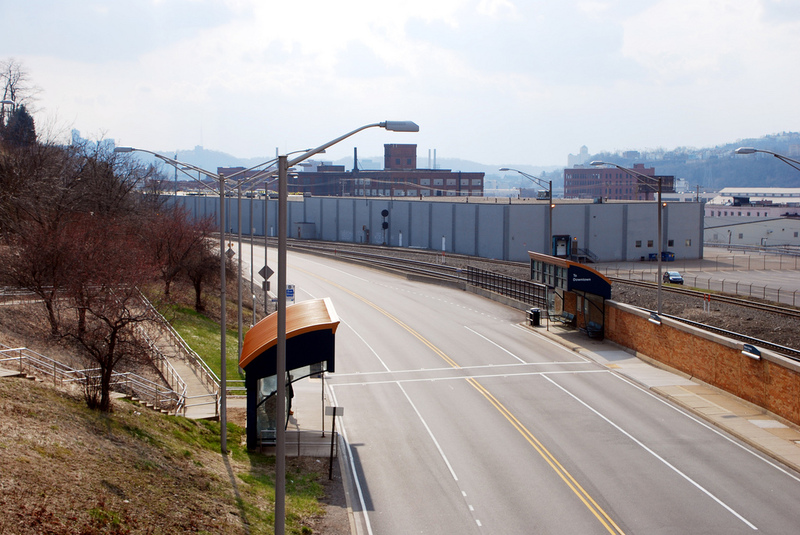 The project will affect 28 Authority bus routes, which will enter and exit the busway via the 26th Street ramp in the Strip District. 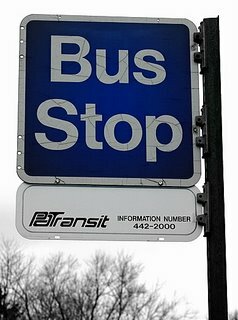 Signs will be posted to advise riders of the closure and guide them to appropriate bus stops. Temporary stops will be established on Liberty at Eleventh, near the Greyhound Station, and on Liberty at the Amtrak Station, but riders are strongly encouraged to use other existing stops. Riders using wheelchairs may wish to use a stop other than Liberty at Amtrak due to limited accessibility. Regional Bus Stop D behind the Amtrak Station will remain open for the seven regional carriers that use the East Busway, with the exception of Westmoreland Transit, which will use the temporary stops in addition to its other Downtown stops. Later this summer, contractors will repave the rest of original span of the busway in sections, ending at Wilkinsburg Station. More details on future work and detours will be released at a later date. The rebuilding is scheduled to be completed by the end of 2010, and will help prevent wear-and-tear on the approximately 800 buses that use the busway everyday as well as create a much smoother commute for the busway’s 25,000 daily riders. Contractors will also conduct barrier and guide rail repair, and make improvements to sidewalks and curb-cuts. This project will span the length of the original busway, which opened in 1983. The easternmost section between Wilkinsburg and Swissvale stations does not need to be rebuilt, having opened in 2003. The rebuilding will cost $7.5 million dollars and is included in Port Authority’s FY2010 capital budget, which ensures annual maintenance needs are met and the Authority’s system is kept in a state of good repair. Do you need this bus? 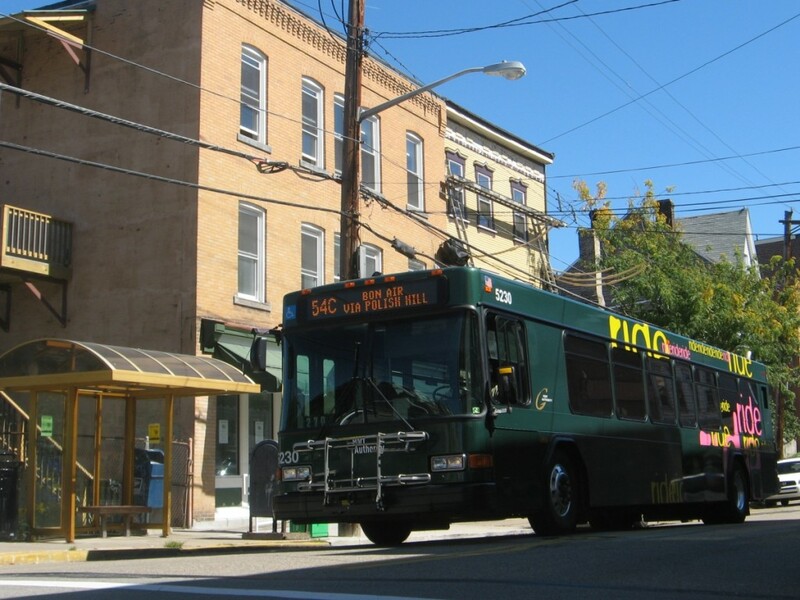 The Allegheny County Transit Council, an all-volunteer organization representing PAT riders, is asking all public transportation users to tell legislators why you need public transit. The Port Authority of Allegheny County needs about $50 million to avoid another fare increase and major service cuts. The Pennsylvania Legislature had planned to fund transit with a toll on Interstate, 80, but the federal government disapproved. As a result, the state is short about a half billion dollars to fix bridges and roads as well as for the state’s 36 public transit systems, including PAT. Please join ACTC in telling legislators why you need the bus or T. Allegheny County legislators are Sen. Jim Ferlo (District 38, 412.621.3006), Sen. Wayne Fontana (District 42, 412.344.2551) and Sen. Jay Costa (District 43, 412.241.6690). The Representatives for our area are Jake Wheatley (District 19; 412.471.7760 ), Adam Ravenstahl (District 20, no phone # available), Chelsa Wagner (District 22, 412.343.2074), and Daniel Deasy, (District 27, 412.928.9514). Please also call Joseph Markosek, Majority Chairman, House Transportation Committee (412.856.8284), and John Pippi, Member, Senate Transportation Committee (412.262.2260).